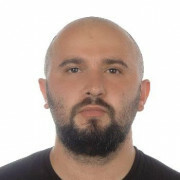 Want to get in contact with Elvir? Big fan of Sopranos, Breaking Bad etc. I can help you practice Turkish(as native), and also English if you would prefer to practice. And i would really like to practice polish language..